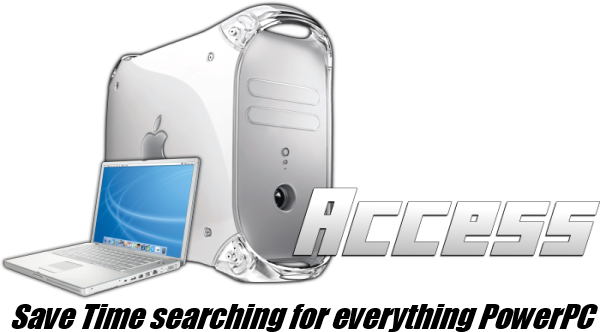 PowerPC Access: Resolution Low or High? SO a quick explantion of resolution is: how many pixels are displayed on your screen. What this means is the quality of picture on your screen. The High the resolution the better the picture looks. The Lower the worse it looks. BUT the Higher the resolution the more power it takes to run it. The Lower the resolution the less power it takes to run. SO being on your PowerPC and you have already done optimizations    and things are still going slow, it can't hurt to tune down your resolution. Then you will see your resolutions options a box in the bottom left corner. Mac's have never had a killer graphics card/chip the lowest resolution you should go to 800x600, unless your running off something less than a PPC G3. You should try all your resolutions options though. Resolution will also be defined by your Monitor. For PPC Laptops this isn't a big issue, but for desktops if you connect a really New full HD display to a super old Mac, running a say 1920x1080 will kick your performance in the balls.